In news that should surprise approximately no one, a virulently anti-gay Catholic church leader is being investigated for sexual impropriety with other males. 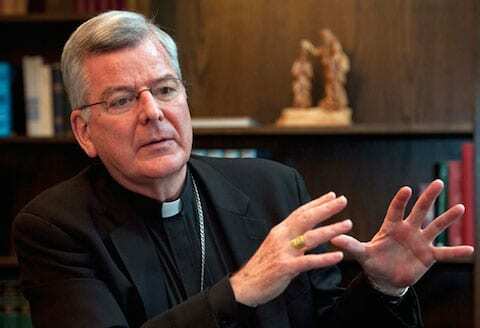 Minnesota's Archbishop John Nienstedt is presently under investigation for inappropriate sexual conduct with seminarians, priests, and other men, allegations that Nienstedt denies. I believe that the investigators have received about ten sworn statements alleging sexual impropriety on the part of the archbishop dating from his time as a priest in the Archdiocese of Detroit, as Bishop of New Ulm, and while coadjutor and archbishop of St. Paul and Minneapolis. [He] also stands accused of retaliating against those who refused his advances or otherwise questioned his conduct. Well, at least this time his accusations are coming from adults instead of children.